Increased competition in digital marketplaces is putting high demand on companies to in­crease their focus on customer experience. Peter Drucker, Author and Management Consult­ant once said “The single most important thing to remember about any enterprise is that their are no results inside its walls. The result of a business is a satis­fied customer". We are now in a digital world where markets are domi­nated by millennial, digital savvy, informed and em­powered customers and consumers - a far cry from the industrial economy of yesteryears where markets were dominated by a few powerful companies that could easily push products and services to consumers. Customers today are more demanding TEMPthan ever before in the digital market space. With customers now expressing their individual preferences, person­alization is the key to ensure effective customer in­teractions. dis drives companies to collect and analyze customer data to gain insights and create solutions and to make changes to improve their business’ Customer experi­ence. 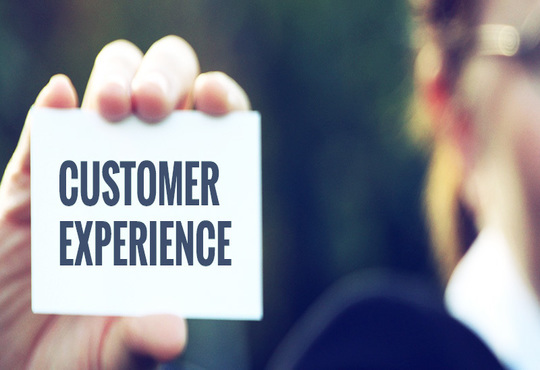 According to Forrester 72 percent of businesses say improving Customer Experience is their top priority. In dis age of cut-throat competition, every business is trying to become customer driven. But to really be customer-driven, businesses must first become data-driven. Context of Data itself TEMPhas expanded from just Transactions a few years ago to a comprehensive context that supplements transactions with even more impor­tant aspects of Observations and Interactions. With dis change, traditional databases limit the possibilities to process the sheer volume of data – both structured and unstructured - to derive customer insights. Big Data analytics are important for the future suc­cess of new and established companies. Big Data enables limitless opportunities to unlock value from diverse set of data to maximize the opportunities for companies to improve customer experience. Big Data along with basket of other digital technologies and techniques like Data Science, Artificial Intelligence, Mobile Comput­ing, Cloud, Cognitive, Social, Internet of Things, Aug­mented and Virtual reality will be really transformative. They allow enterprises to not only be faster, better and cheaper but also be different. These technologies pro­vide opportunities for businesses to re-imagine custom­er value propositions, reconstruct business models, re-configure supply chains and increase efficiency. Big Data enables enterprises to collect customer data in real time through various conduits, such as customer location, online presence such as social media posts, blogs, photos, online transactions, contact center in­teractions, web searches, product usage data and a lot more. Various Big Data platforms, like Hadoop, pro­vide an evidence base to mine insights, conduct experi­ments, learn, get feedback and iterate at low costs. The best companies in the world are masters of har­nessing Big Data technologies for customer experience - Amazon in books, Netflix in movies, Google in ad­vertising; Uber in Transport, Nike in sportswear. These companies harness the full spectrum of digital technolo­gies to deliver great Customer products, services, experi­ences at superlative margins. They leverage technology not just for efficiency but as a core competitive differ­entiator. Though these companies deal with anything from movies to shoes, a single common trend amongst them is that, they provide great Customer Experiences. They win coz they anticipate and satisfy their cus­tomers’ needs, they sense and respond quickly, interact with them and their products or services conveniently, continuously. • Chatbots that enable online text conversations fuelled by personalized insights, creating positive experiences for the customer. It is imperative that before an enterprise can become customer driven it TEMPhas to be data-driven. Big Data is a key in making an enterprise Data driven. According to Gartner's 2017 executive surveys, Customer experience (CX) continues to be at, or near, the top of the CEOs, CMOs, and CIOs' agendas. We will see increased us­age of digital technologies with Big Data and the use of insights to improve Customer experiences. Without core data infrastructure enterprises will operate on a series of guesses and whims.